I came across this simplified Glasgow transit map and thought that would be an interesting idea to apply to Detroit’s ultra simple downtown “public transit” system. I choose some highlights of each station stop based on the station guides (no guarantees). The People Mover was constructed in 1987. 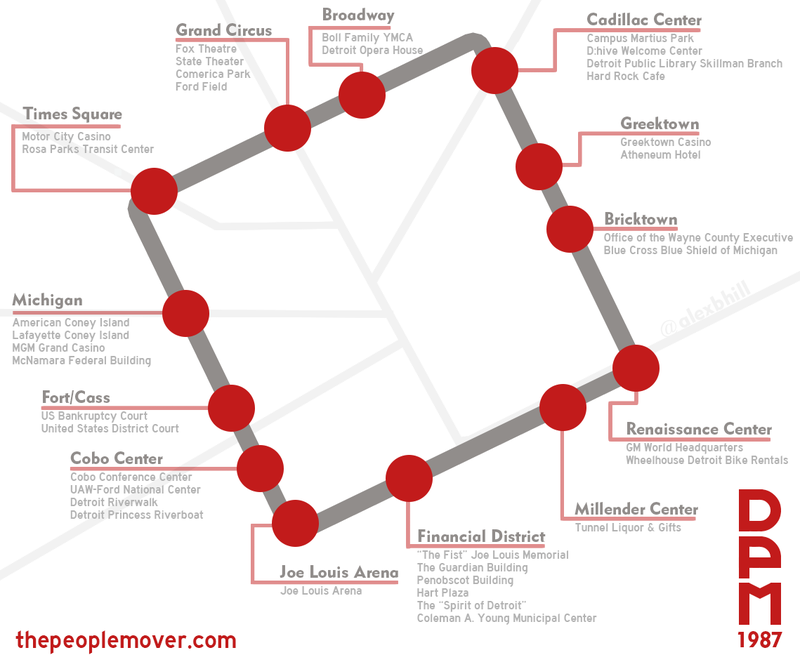 Detroit was one of four cities selected to receive this “new” transit system as part of the “Downtown People Mover Program,” yet Detroit has one of the two remaining people movers from that program. Last year was the 25th anniversary of the Detroit People Mover.